Well, this is exciting! 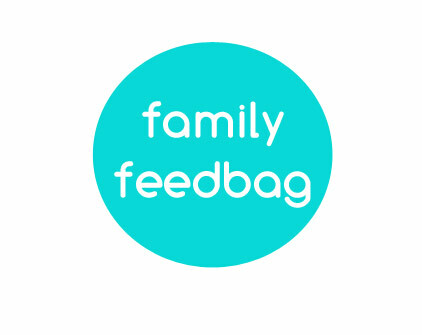 This is my first giveaway here on Family Feedbag and I'm so pleased with the prize. 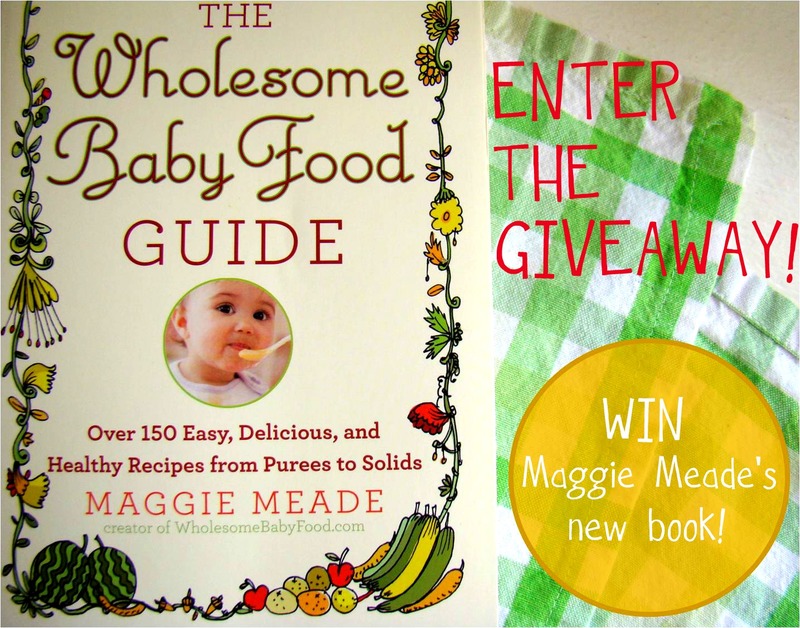 I'm giving away a copy of Maggie Meade's new book The Wholesome Baby Food Guide: Over 150 Easy, Delicious, and Healthy Recipes from Purees to Solids to one of you! 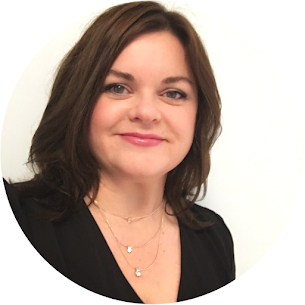 If you've ever chatted to other parents about starting your kids on solid foods, or searched for information online, you've probably come across Maggie's incredibly popular www.wholesomebabyfood.com. 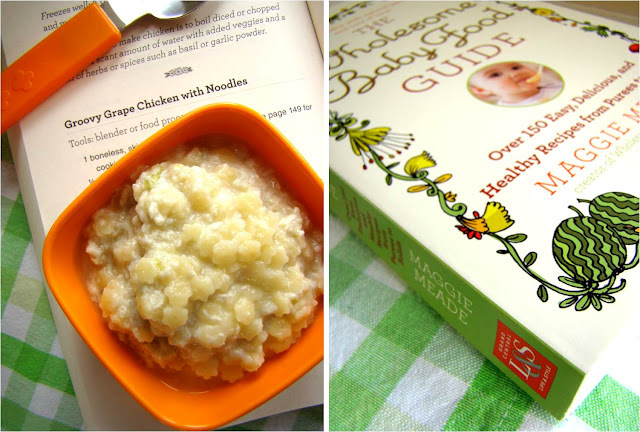 For years it has been a handy resource for parents, including me, wanting to give their babies a healthy homemade start to eating. Her new book offers tips on nutrition, safe food storage, allergies and all the other things we wonder about when starting a baby on solids, plus 150 easy-to-make baby food recipes! 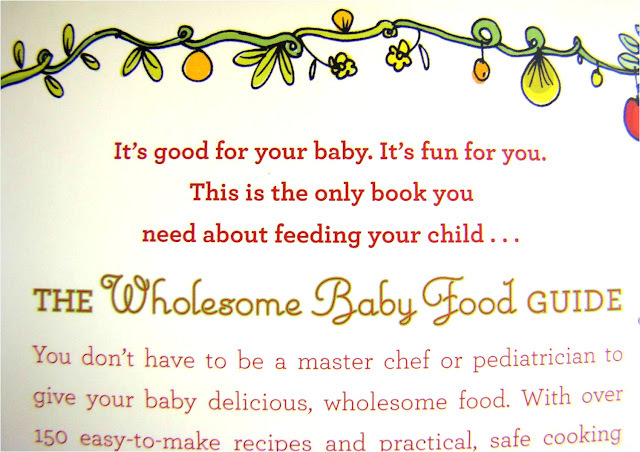 This book makes a useful kitchen resource for anyone with a new baby in the family or someone expecting one soon. My youngest son got a big bowl of Groovy Grape Chicken with Noodles from page 240. As you can see, he had a great time trying to feed it to himself! Or was he washing himself with it? Ha! 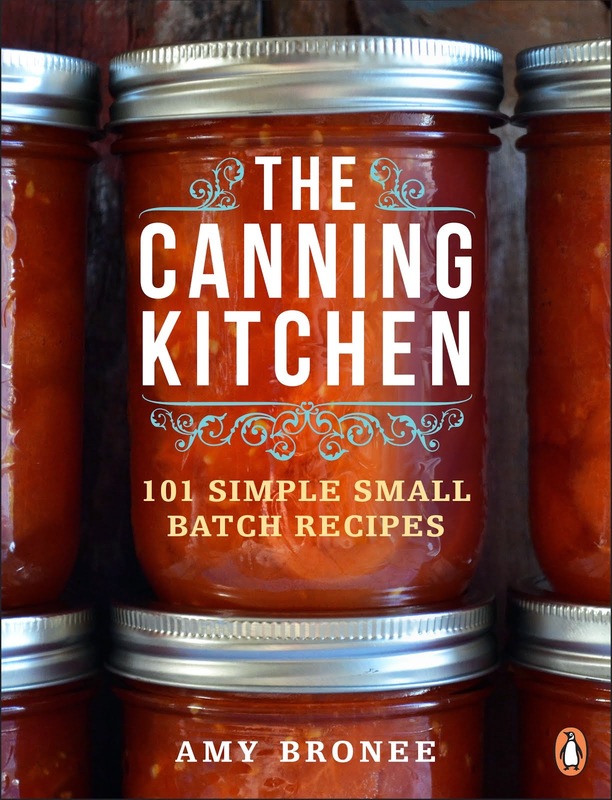 To enter to win a copy of this fabulous new book from Grand Central Publishing, leave a comment on this blog post with your name and an e-mail address you can be reached at if you win. That's it! Winner to be announced on Friday, March 23rd. Now go enter! Lovely book. I could give it to someone as a baby gift. Kim - kimberlyablanchard@gmail.com. Love your site! This is exactly what I have been looking for! Great giveaway. I think I could send this to my new wee cousin in Scotland. 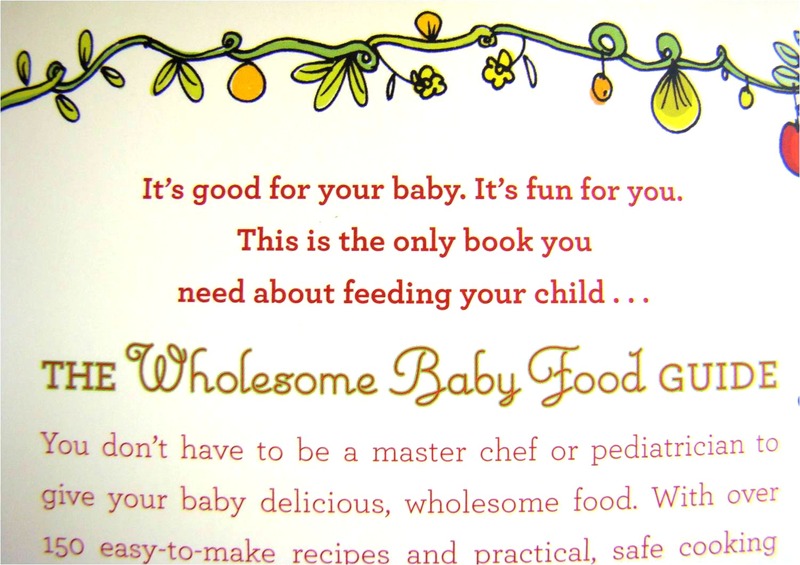 I am always looking for exciting and wholesome new recipes for my 11 month old. I would love the opportunity to win you book. I heard so many great things about this book! My friend recommended this book to me! I really LOVE your blog. I've tried so many of your recipes and they have ALL been winners!! And with my 2nd daughter due to join our family in about 2 months, this book will come in very handy. Wow, what a great book! I need this! I'm expecting twins any day now!